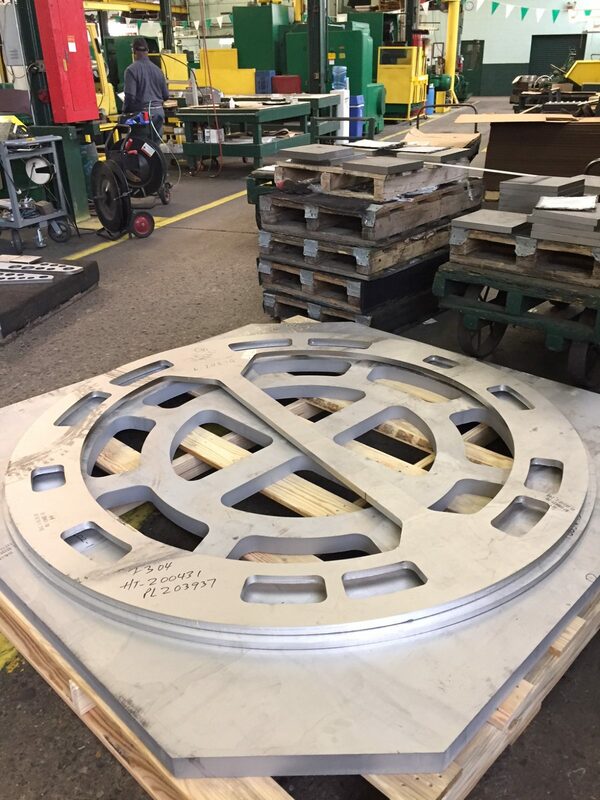 From large jobs to small, Sandmeyer can cut to your specifications with speed and accuracy. Here is photo of a large job made of 304. Here is some new footage of our Quickmill Annihilator Machine in action, drilling a series of holes at high speed. 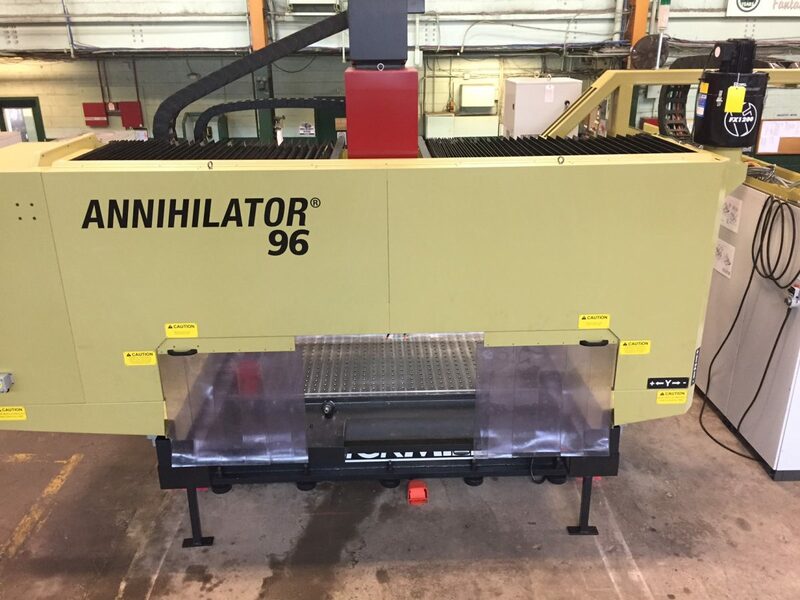 The new machine can handle stacked drilling through 8.0″ (203.2mm). With the expansion of its processing capabilities, Sandmeyer bolsters its ability to deliver near-net shapes in hard-to-find grades. 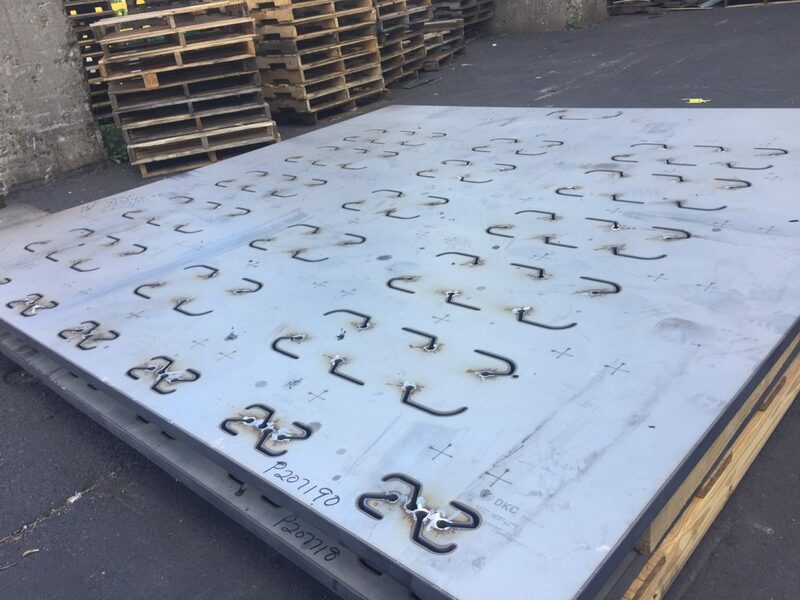 To add to our collection of special cut shapes, here is photo of a recent job of 2 pieces of 1 1/2″ thick 304 cut to our customer’s provided specifications. Due to our vast on-site inventory and processing capabilities, we are able to deliver orders like this faster than our typical competitors’ timeline. 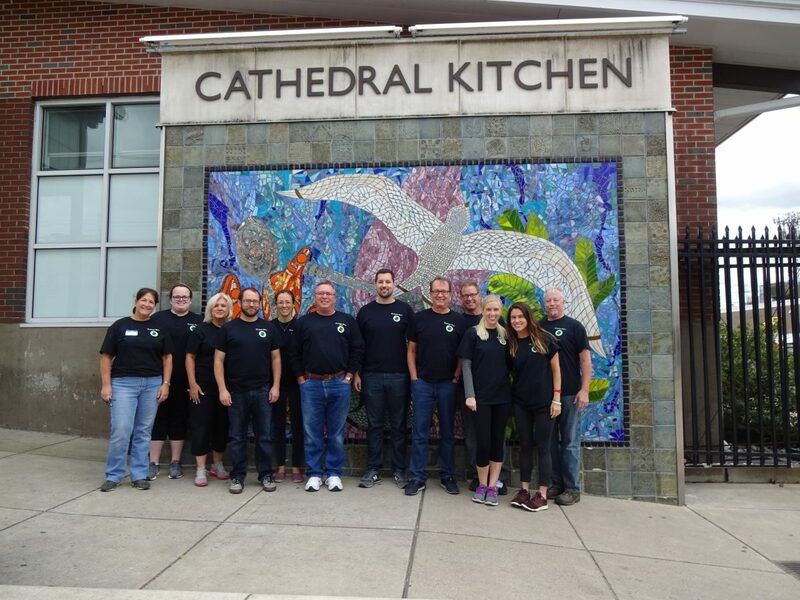 As part of our “Sandmeyer Serves” program of volunteer activity, employees recently donated their time to local organization Cathedral Kitchen in Camden, NJ. Cathedral Kitchen serves nutritious meals for impoverished residents of Camden, and served 100,000 meals in 2016 alone. On Saturday, the Sandmeyer team prepped and served plates, wrapped food to-go, and assisted in cleanup.